I imagine I would need to have a 2D array of points at the center of each tile, and check the intersection of each point with the gradient map, then clamp the color to a value. The mix map is able to access overlapping textures by masking them, is there any way to access this or similar functionality? Attached is a visual of what I have in my head, but using forestPack. 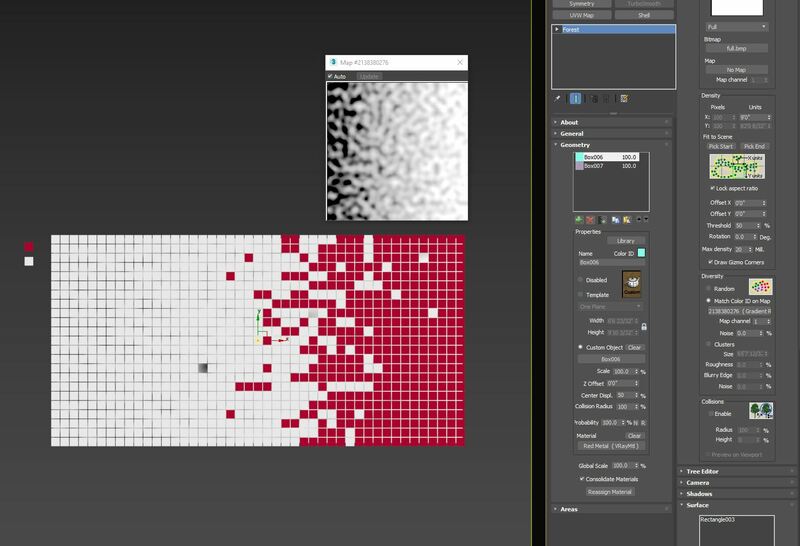 This functionality would also be helpful for creating mosaic textures. Submitted by ljennings on Mon, 2018-07-02 07:20. Thanks! I had no idea about those I will investigate.. Submitted by Swordslayer on Sun, 2018-07-01 00:20. You can either create one via the SDK or use OSL.